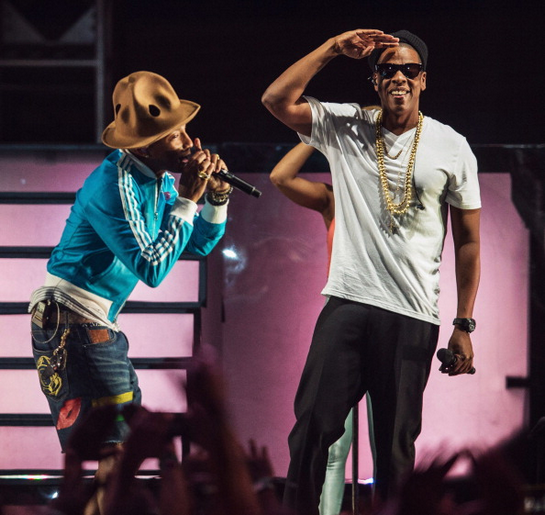 Pharrell brought out Jay-Z to perform a few of their biggest collaborations during Pharrell's Coachella 2014 Weekend 2 performance. So wish I was there!! P.s Ok Hov I see you rockin those Taxis! For ELLE's seventh-annual Women in Music Issue, they selected Miley Cyrus to be their cover girl. But I was actually more excited to see the girls inside! 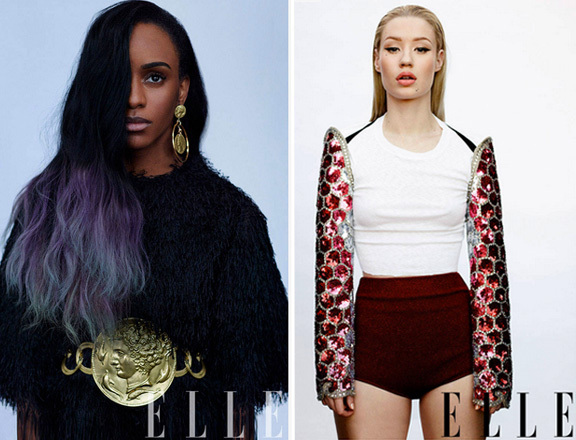 Yessss Iggy Azalea & Angel Haze repping real hard for the Hip-Hop genre. Angel Haze pulls off what must be a very heavy Dolce & Gabbana coin belt with matching earrings and a silk fringe top by the fashion house. Iggy, meanwhile, wears both some crazy bedazzled arm cuffs by Maison Martin Margiela and the wet-hair trend. 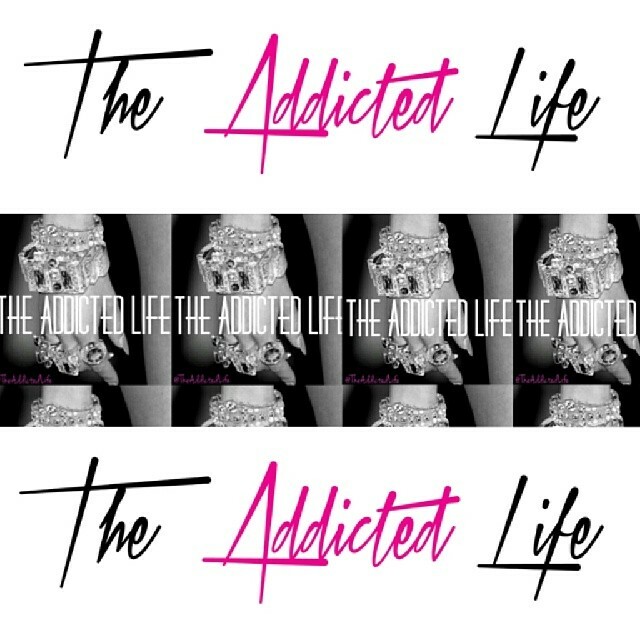 SLAYED!!! Future and Yeezy link up for the "I won" visual. I love how Ye rap's about Kim K on every song now. Yes, men celebrate your woman!! She is your Queen. P.s this doesn't apply to jump offs aka thots. Choose your girl/wife wisely! Pre-order “Honest” here. No plans this weekend? 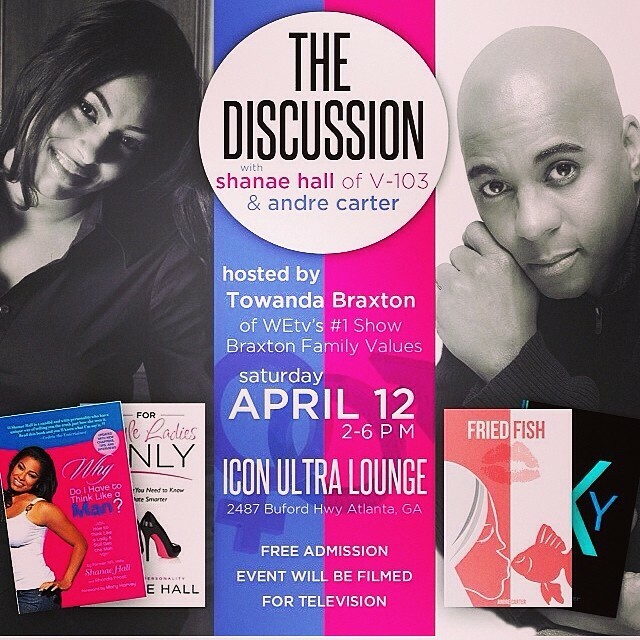 Grab a friend and come to "The Discussion" event hosted by Towanada Braxton of WEtv's #1 show Braxton Family Values. This event will be filmed, so come out have a good time! If you see me, be sure to speak!